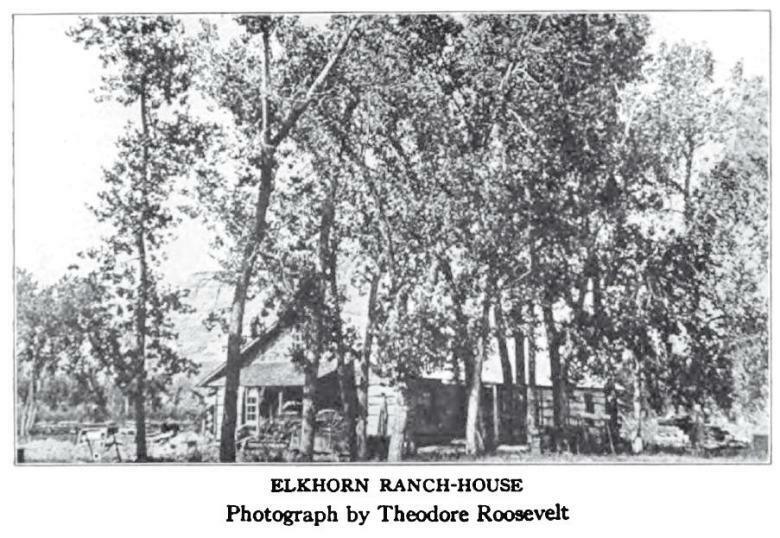 Off the beaten path – it’s exactly where Teddy Roosevelt wanted to be in 1883 – and so the Elkhorn Ranch became his refuge. He’d just suffered a string of losses, including the deaths of his wife and his mother. To get his life back on track he went where others have gone for more than 100 years – and you can go there too if you’re willing to get off the beaten path. The healing place for a soon-to-be President is yours to experience. An autumn view. 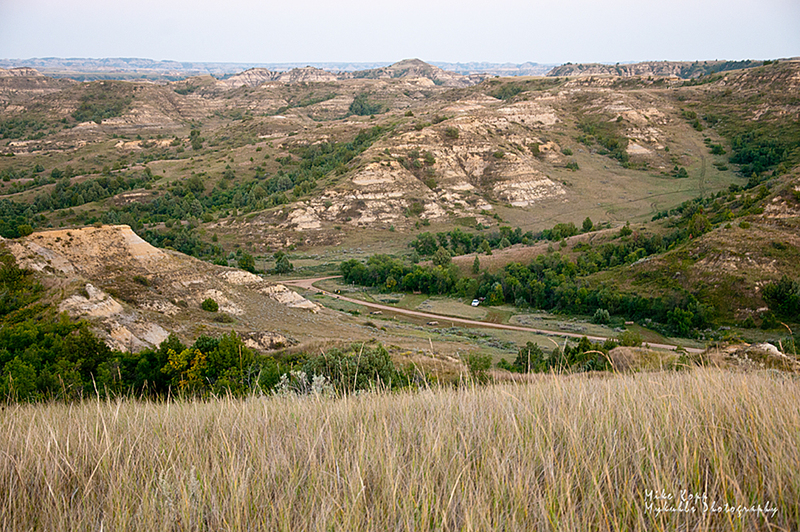 Teddy Roosevelt raised cattle, hunted and lived in these hills surrounding his Elkhorn Ranch. A thin red ribbon shows the road to his ranch. The Elkhorn Ranch site is a national treasure, undeveloped and barely marked. We needed a good map to find it; the U.S. Forest Service map is perfect for a search like this. After a bit, we began to recognize the repeated Elkhorn signposts directing us further down the road. Intersections are marked in the North Dakota Badlands with directions to ranches otherwise hidden from view. The small sign with an Elkhorn icon indicates the way to the ranch. The campground up the road from the Elkhorn Ranch site offers a bit of protection from the hot Badlands sun. Tent camping is more than sufficient with the campground’s supply of water, firewood, and privacy. Even though we were in a public campground, it was still much like getting away from it all. In fact, one night, there were only two other campers in the campground. The Little Missouri River is a wilderness through-route today, just as it was for Roosevelt. 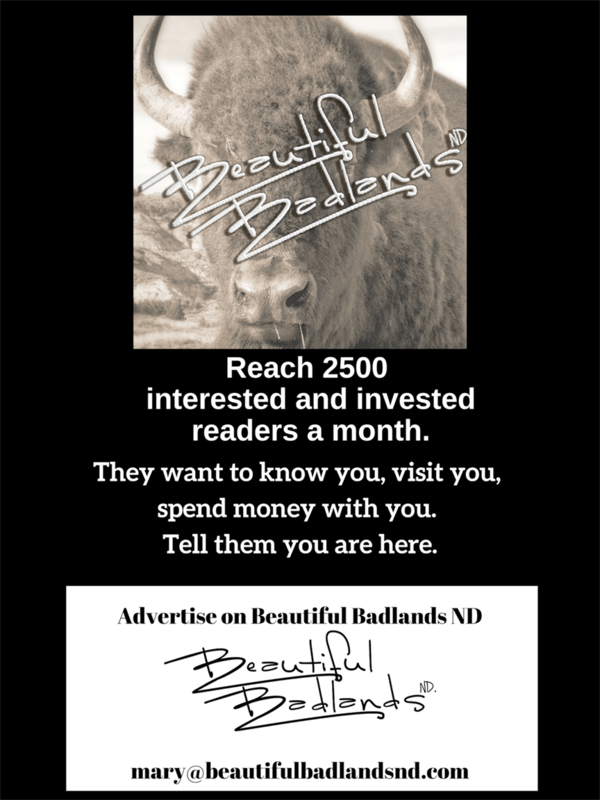 It is a challenge to canoe or kayak, and the spring seems to be the best time to attempt a float downstream (the river flows north), but it’s always a beautiful walk through the Badlands where Roosevelt ranched. This time of year, abundant green is a satisfying color along the Little Missouri River in front of the Elkhorn Ranch house. We have hiked, canoed and driven the Little Missouri River as it flows northward from Wyoming and Montana to the confluence near Williston, North Dakota. It’s a pleasant and non-stressful hike to follow its river banks. It’s easy to see why Roosevelt wrote often and vividly of the river. We recommend hiking the river trails near the ranch. Hiking the hills, bluffs, and buttes above the Elkhorn is a minimal challenge to anyone is good condition and who have hiked some of the rougher terrains further downstream. (See the post on hiking the Long X Trail along the Little Missouri River — Five reasons to use the Long X to break free of dreaded cabin fever). While the riverbank hike is enjoyable and calming, it’s the views from the top that exhilarates. Not only are the views mind-numbingly expansive, but there’s a sense of accomplishment from having hiked to the top of what appears to be an unpassable slope. The key is “switchbacks.” It’s wise to never get in a hurry when heading up to higher ground – don’t attempt to go straight up. Follow gentle rises back and forth across the face of the hillside, pausing to not only catch your breath but to scope out the next set of switchbacks to take you to the next level. Theodore Roosevelt’s healing place, for the day-visitor it’s a moment of spiritual rest, visual stimulation, and a sense of accomplishment when you climb a hill, turn, and look back at how far you’ve come – a good life lesson. What would it take to make you want to check out the site — accessibility? directions? time? Make your plans to go. You likely would have it all to yourself. Road Trip! An irregularly posted series of stories to give you ideas of explorations you can have for the cost of a tank of gas. Subscribe above to get an email when a new article is published. You can also follow us on Facebook. Between Cartwright and Fairview: Fairview Lift Bridge and Cartwright Tunnel.